'The haircare month is still going?' I hear you cry! Yes. We all know how crap I am at regular posting, and given that I set myself a pretty hefty challenge, it's unsurprising that I failed. That said, I'm persevering with the theme with a slight rebrand: no longer will I refer to the 'month', and instead, we'll stick to haircare as a theme. Entirely more realistic, and allows me to pick it up as and when I can keep my eyes open after work. Winner! 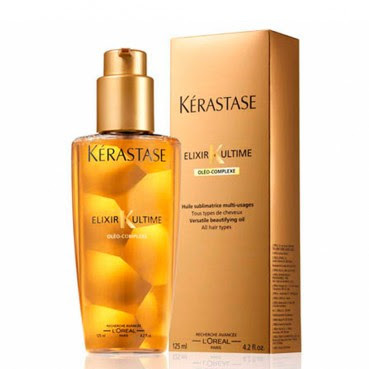 What is it: Another hair oil, and notably, the winner of a Bazaar top 100 beauty products award (amongst many others). 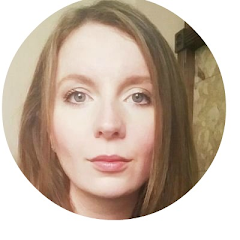 Their beauty editor, Newby Hands, is as spot-on with product recommendations as her name is crazy, so if she likes it, I'm there. Yes, it contains silicones, but it's also lauded as a serious smoother, tamer and all-round glosser. I was told by the good people at Trevor Sorbie's Covent Garden salon that 'it has a couple more ingredients than the Shu Uemura oil' (which was out of stock at the time - sad face) so I thought I'd give it a whirl. Price point: Around £29, which is pretty standard for a salon-brand hair oil. This may sound expensive, but given that you need a tiny amount, they last for ages. USP: The website says 'Elixir Ultime delivers a powerful cocktail of emollient and anti-oxidant active ingredients for ultimate shine and suppleness while promoting cellular renewal.' So far, and it sounds so good. So, how does it perform? Would I recommend it: Hmm, I have to confess, I was disappointed. We all know I love the Shu oil which leaves my hair perfectly silky. For me, Elixir Ultime is the kind of silicone-based product that initially gets your hair super glossy, and then after a few weeks' use, you start noticing some dryness. This is in complete contrast to Shu's Nourishing Oil, which moisturises without drying. I got a third of the way through the Elixir Ultime bottle and stopped using it. Any hint that a product is wicking much-needed moisture from my hair is a deal-breaker for me. I have naturally dry, curly hair that definitely needs more love than most hair types. Just because this isn't for me, doesn't mean it won't be for you. That said, if you have dry hair, I'd recommend Moroccan Oil, Macademia Oil, Phyto or Shu Uemura before this one every time. There are plenty of brands to choose from, and as with most things, it's about working out what's right for you. Would I repurchase: Sadly not. And with two thirds of this left, the prospect of buying Shu again without finishing this makes me feel very wasteful. I keep thinking about putting the Elixir onto ebay as it clearly works for lots of people (the sage Newby included), but I can't help but feel that this has been the nail in the coffin of my once dedicated Kerastase habit. Disappointing!